"If I were a boy /Even just for a day /I’d roll outta bed in the morning /And throw on what I wanted and go"
Welcome to our 50th episode! If you're a regular listener you may have heard us mention the Modh Coinníollach before… but what is it? 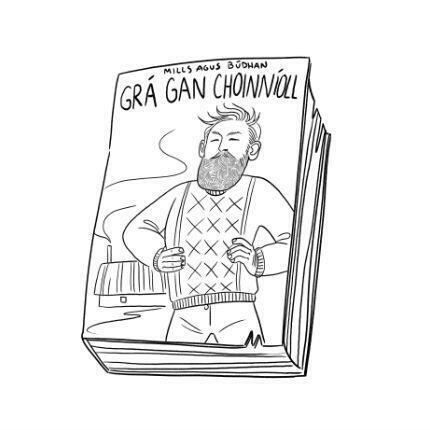 As with Peig who we chatted about last week, the Modh Coinníollach has become a kind of mascot for those who have bad memories of Irish from school. This has become a tired cliche in need of a good shake. The gang also chat about Muppets, Haribo, Fatal Deviation and Beyonce, and Peadar gives a cheeky tip for spoken Irish.